CinemaCon 2013 is officially in full swing with Paramount hosting the Off and Running presentation this evening. CinemaCon managing director Mitch Neuhauser kicked things off by introducing himself as Brad Pitt before running out on stage. After the big reveal earned a quick laugh, Neuhauser pointed out the Colosseum’s nifty and truly impressive Dolby Atmos audio system, and then introduced the chairman of IMAX Entertainment, one of CinemaCon’s sponsors. 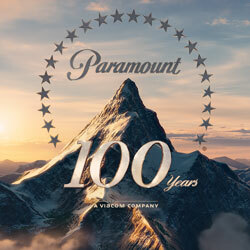 After congratulating Paramount on its 100th year, he got down to business, announcing IMAX’s five-picture deal with the studio. The arrangement involves Michael Bay’s “Transformers 4” and Christopher Nolan’s “Interstellar” with three additional titles being unveiled in the coming months. Both Bay and Nolan will also be shooting select sequences using IMAX cameras. After showing off a reel including upcoming IMAX titles like “Oblivion,” “Pacific Rim,” “Iron Man 3,” and more, it was on to another CinemaCon sponsor, the digital projection company, Christie. Their VP of Entertainment Solutions stepped out on stage and reiterated that soon, all projection systems will go digital and that the company recently hit a major milestone with a screening of “G.I. Joe: Retaliation” marking the best brightness levels ever achieved. The company’s representative was well aware of what the large majority of the audience was looking forward to so hurried things along, but the brief run-through of IMAX and Christie’s achievements do make you think twice about how important companies like those are to your moviegoing experience. Then again, not to take them for granted, but I’m not going to lie; it was exciting when Christie finally handed the podium over to Paramount. The studio’s vice chairman Rob Moore took the stage and spoke a little about the exciting growing relationship between Paramount and IMAX, the recent success of “Hansel & Gretel: Witch Hunters” and “G.I. Joe: Retaliation,” and then introduced a preview reel of Paramount’s upcoming slate. After touching on a number of iconic old-timers, we got some very quick snippets of “Star Trek Into Darkness,” “Pain & Gain,” “World War Z,” “Paranormal Activity 5,” Martin Scorsese’s “Wolf of Wall Street,” Jason Reitman’s “Labor Day,” a totally black and white “Nebraska,” a quick joke from Ron Burgundy for “Anchorman: The Legend Continues,” a peek at “Jack Ryan,” some epic landscape shots from “Noah,” a tease of “Ninja Turtles,” a preview of a CGI Sponge Bob SquarePants, a shot of Mark Wahlberg in “Transformers 4,” a title card for “Interstellar,” and finally, Dwayne Johnson’s name right alongside “Hercules.” The piece was particularly well cut and the soundtrack really did pound courtesy Dolby Atmos, making the sizzle reel an excellent, heart pumping segue into the main event – footage. “Star Trek Into Darkness” scribe Damon Lindelof took the stage, having a laugh by dubbing himself, “the balder, less talented J.J. Abrams.” Even in Abrams’ absence, he also got to poke fun at Lindelof, too, by having Lindelof read a letter he wrote to the CinemaCon audience. Lindelof pointed out that he was firmly instructed not to look at this letter before the big night, and it’s no wonder. When the letter wasn’t humbly thanking the audience for being there, it was forcing Lindelof to announce plans to do a song and dance, and give Abrams full credit for “Lost.” All kidding aside, Abrams revealed that he couldn’t be there to unveil the footage because he was back in Los Angeles, knee deep in sound mixing work to have the film ready for its May 17th release. From there Lindelof brought “Star Trek Into Darkness” stars Chris Pine, Zachary Quinto, Alice Eve, and John Cho on stage. Lindelof conducted an endearingly awkward Q&A, beginning by asking Pine how James T. Kirk changes from film one to two. Pine admitted that in the first film, Kirk assumed the chair a little early, but in “Into Darkness,” he endures a significant amount of maturing courtesy of the pressure from Benedict Cumberbatch’s villain, John Harrison. Quinto touched on the misnomer that Spock is devoid of emotion and pointed out that in this film, his personal journey involves the need to honor his feelings and be accountable to the people he loves. Eve chimed in to talk about being the series newcomers. She admitted the first day on set was like the first day at school; in the beginning, everything was new and scary, but come wrap time, it was like she’d been there forever. Cho earned a laugh by admitting that he fell for a practical joke, having been told that the enormous laser on their scientific facility set was radioactive and believing it. Apparently the gag resulted in the need to jump up and down and be swathed in neutron cream, whatever that is. Then it was back to Pine who pointed out that while the second film is bigger and better than the first, it doesn’t raise the bar with action at the expense of emotion. Before wrapping up, Lindelof brought up the touchy subject of 3D, pointing out that, originally, Abrams was against it, but after seeing some footage with the extra dimension, he converted. In the end, Lindelof himself is a big proponent of “Star Trek Into Darkness” in 3D, as he’s seen the film in both 2D and 3D and calls the 3D version a far more immersive experience. Finally it was time for the footage and we didn’t just get a single scene, rather 18 minutes of “Star Trek Into Darkness.” The two scenes we saw were both incredibly impressive displays of color, vibrant production design, curious characters, quite a few laughs, and deep space action. Read on for all the details, but be warned; scene spoilers lie ahead. Enter In The Hollywood Undead Ticket And Signed Drumhead Giveaway!